Our very talented and incredibly knowledgeable Director of Photography, Kevin Good, not only stays busy shooting projects of his own but also gives helpful hints on how others can do the same at Crisislab.com. In this video, Kevin talks tech and technique about how he gets the great visual results seen in the film. 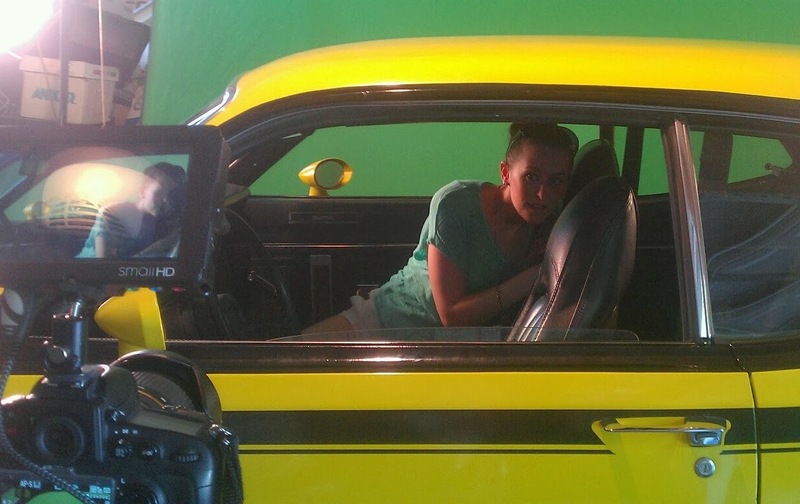 Kevin Good prepares the camera as actor Kristin Rogers (Beth) hangs out in the Duster between takes.